Like many of you, we attended Comic-Con Africa this weekend and after our experience was all said and one we have this list of 5 ways that the organisers could improve on Comic-Con next year. Really, if you weren’t in the VIP parking… then good luck. The show was honestly pretty darn fantastic and we really enjoyed our time there (and wished we could have spent a whole lot more). In my eyes, the parking really was a big issue though and that’s why I’m bringing this up. The last thing I expected to see at a Comic-Con at 9:30AM on a Friday morning was people completely kitted out in cosplay trekking up painfully large, long dusty uphills just to get to the gates of the actual con. Over the weekend and since I’ve heard a fair amount of complains from friends and others saying that they’ve not had to walk that far for parking ever in their lives. I believe them. Who am I to even judge the parking situation anyways? 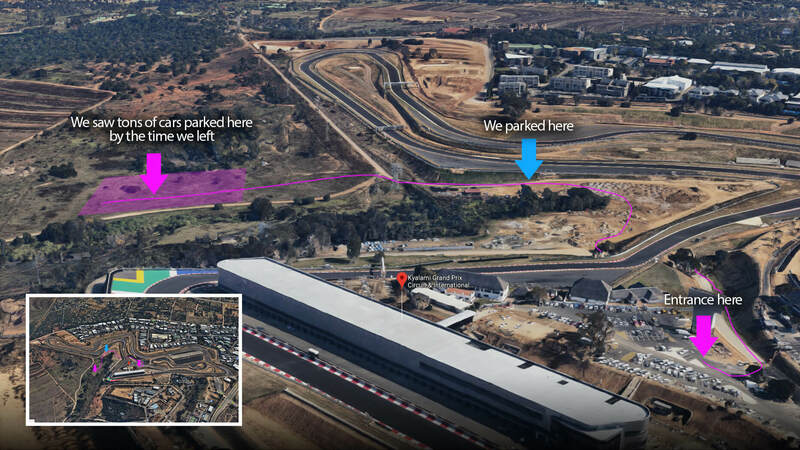 Well… I’m a big petrolhead and motorsports fan, so it may come as not surprise that I have spent a lot of my life at Kyalami, both the old and the new version so I have a good grasp of the place, especially how parking usually looks. The thing is that I was at the Festival of Motoring just weeks before Comic-Con Africa and the whole event itself was not only as big and held in the same areas, but had none of the parking issues. Heck I don’t wanna know what the state of CCA’s parking was like on the Saturday or Sunday at midday. Why? Simple: Golf Carts. No kidding, when we got to the Festival of Motoring, we ended up having to park way around the track right at the top and we got out our cars already moaning about the big walk ahead of us, only to have a guy in a golf cart roll right up and ask if we wanted a lift. A quick hop on with a few other people and we were where we wanted to be in no time. The carts were absolutely great, and they just ran up and down the entire day and made parking an absolute pleasure. 15 min walks in the hot sun were being reduced to a fun little 3 min ride. I don’t even know how the small amount of carts handled everyone so well, but they did. I really love Kyalami and I want to see it succeed, so if carts alone aren’t the answer in future I really think some extra strategy is required. And did I mention that it’s pretty much uphill the entire way? So there, I wanted to talk about the parking issue, because I really do think it was an issue and was the worst part of an otherwise fantastic experience. Sure, there are also a few other places they could improve the show, but really I want to just get back to how great it was for a bit, because despite only getting to spend around 4-5 hours there on Friday it was clear that we have all been blessed with something new and special to what we’ve had before. The stalls were great, people were all in great moods and the high amount of quality cosplay really brought everything to life. The celebs that came were really enthusiastic and awesome about the whole show and we know that can only get better as Comic-Con Africa grows. I also think cosplay is gonna grow a lot as a result, because at rAge only the weird, nerdy cosplayers did that stuff right? RIGHT? Well at Comic-Con the opposite was true, it felts like I’d arrived at a Halloween party and realised I’d forgotten to dress up. I think next year we are gonna see a whole lot more from the casual visitors! 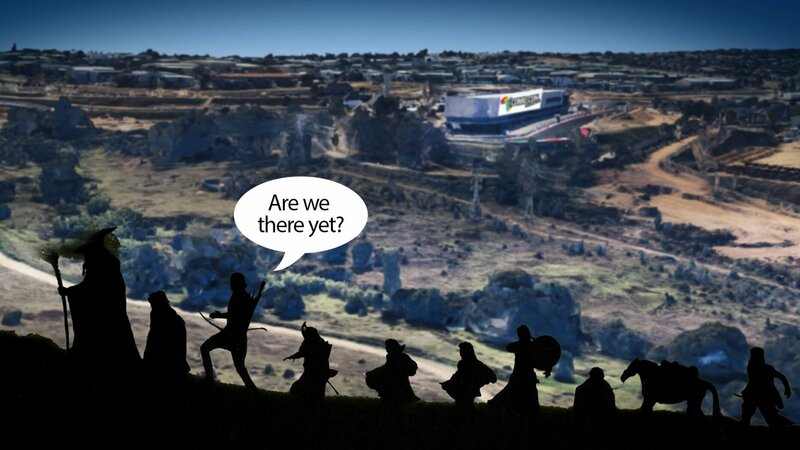 If you have any thoughts about Comic-Con Africa, comment under the post or drop us a tweet @pennyworthrevs!